En Vogue is an American R&B/Pop vocal group whose original lineup consisted of singers Terry Ellis, Dawn Robinson, Cindy Herron, and Maxine Jones. Formed in Oakland, California in 1989, En Vogue reached number two on the US Hot 100 with the single "Hold On", which was taken from their 1990 debut album Born To Sing. The group's 1992 follow-up album Funky Divas reached the top 10 in both the US and UK, and included their second US number two hit "My Lovin' (You're Never Gonna Get It)", plus the US top 10 hits "Giving Him Something He Can Feel" and "Free Your Mind". In 1996, "Don't Let Go (Love)" became the group's third, and most successful single, to reach number two in the US, and became their sixth number one on the US R&B chart. Robinson left the group in 1997 shortly before the release of their third album EV3, which also reached the US and UK top 10. Jones left the group in 2001 and was replaced with Amanda Cole; however, in 2003, Cole left and was replaced by Rhona Bennett during the recording of their album Soul Flower. In 2005, the original members briefly united before disassembling again. 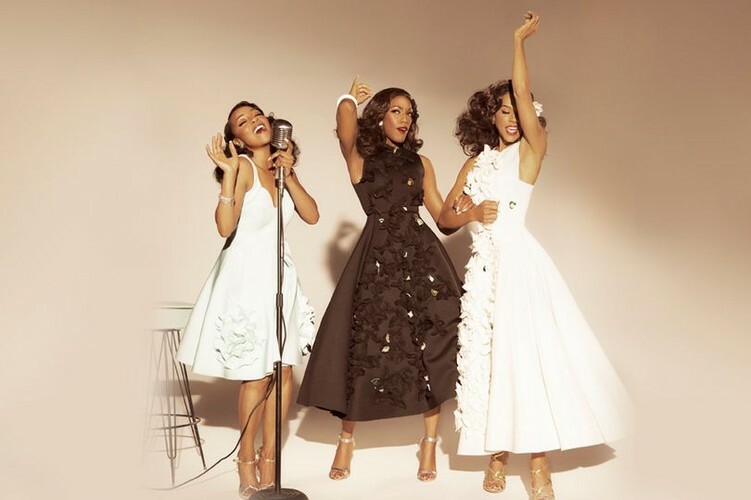 In 2009, the original members once again reunited for their "En Vogue: 20th Anniversary". Shortly after the tour, Robinson and Jones again departed from En Vogue, with Bennett rejoining the group as a trio.